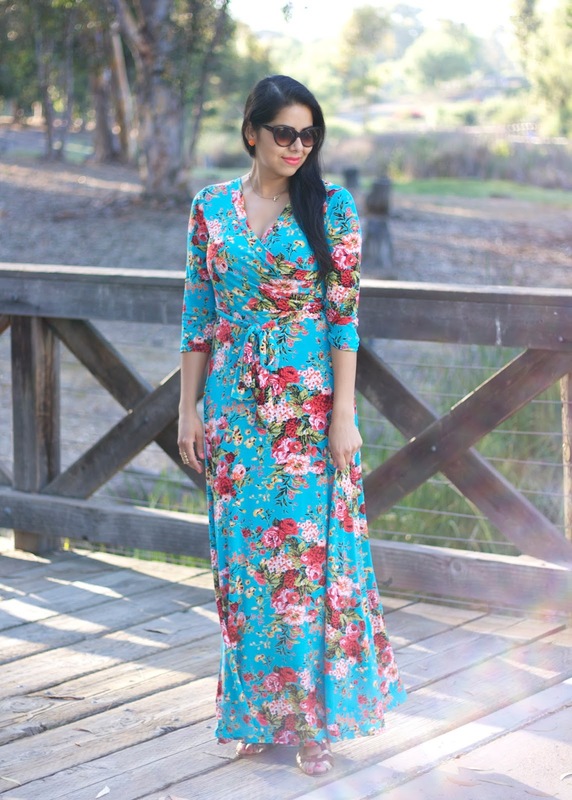 Maxi dresses are my favorite on those "I'm too lazy to make an ensemble" days, when I compromise how flattering clothes look on me, however this maxi dress from Pink Blush worked its magic- it is as flattering as it is comfortable! To top it off, this same dress comes in an array of fashionable patterns and prints, from tribal to damask print, to other prints that may fit your style. 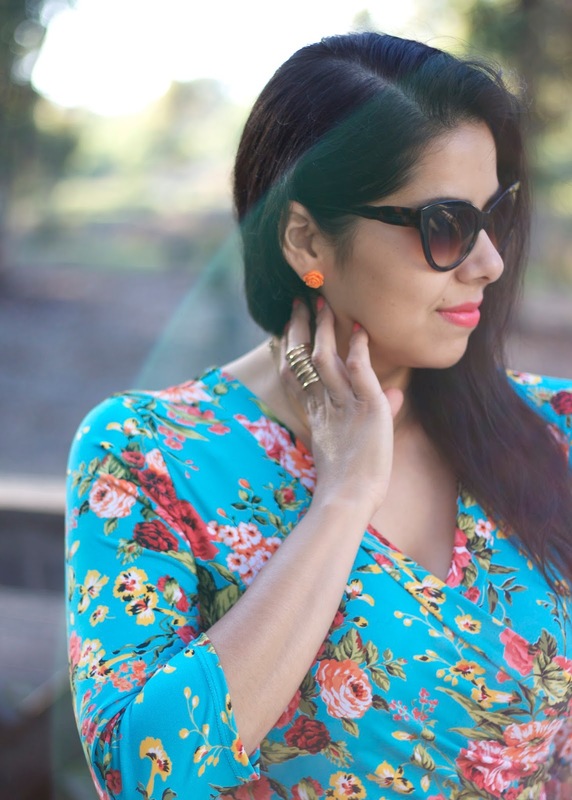 What I also like about this maxi dress is that it is a statement in itself and doesn't require much accessorizing. I ended up wearing this dress to my friend Patty's garden party and it was a total hit! 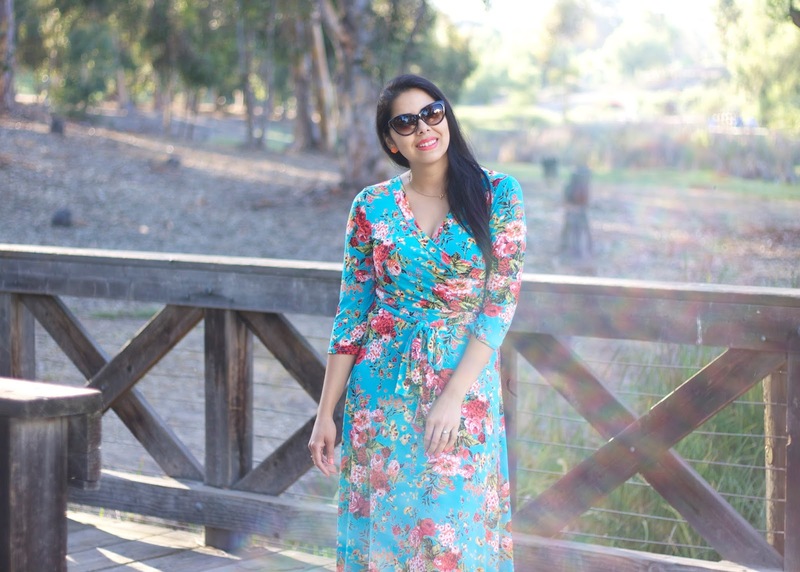 About the Outfit: Pink Blush Aqua Floral Maxi Dress (less than $50 here!) Pics by my awesome fiance who's getting better at picture-taking! 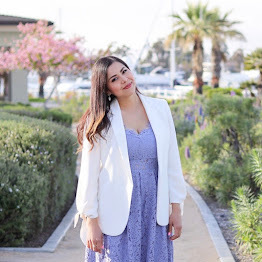 If you're not familiar with Pink Blush, they offer chic women's apparel at affordable price points on their website AND they also have a dedicated website for expecting mommies at Pink Blush Maternity. I will be featuring a couple more pieces from Pink Blush coming up, stay tuned! That dress is absolutely beautiful! I LOVE the colour! Gorgeous maxi dress, perfect length on you. Lovely print! You look amazing Paulina! The perfect dress for a garden party. 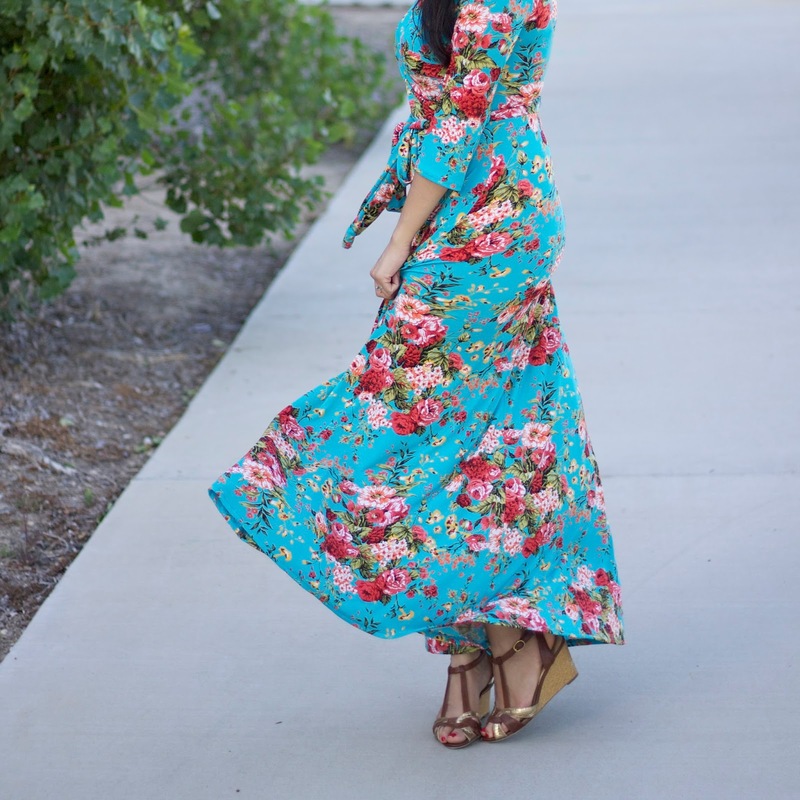 I too love maxi dresses..so easy, chic, and effortless. Stunning and YES he's getting better! LOL he captured the light perfectly!!! El vestido es espectàcular me encanta !! Te apetece que estemos en contacto ? It's so flattering and pretty on you!